You people might be wondering about the title but let me assure you, this is going to be the reality very soon Insha Allah. The factors I would be listing below which are going to shape Balochistan as the new face of Pakistan. The recent CPEC developments which were of very high anticipation might lead someone to a point that Punjab is being showered with the blessings of CPEC but this is not the case. I have travelled through Balochistan from Krachi to Quetta and then Quetta to Punjab i.e. Dera Ghazi Khan and I will be kisting down below why I called it as new face of pakistan. Balochistan is connected to rest if the provinces by RCD, N-50 and N-70. There are very old routs which were operational from the British era. Sad to say is that no work had been done on these routs for the last fifty years. 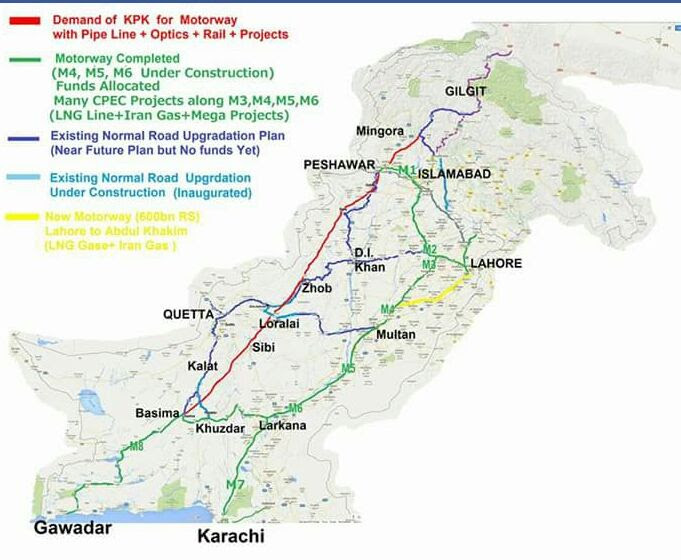 With the initiation of CPEC, these routs are being constructed again and have been given the status of Motorways/National Highways. 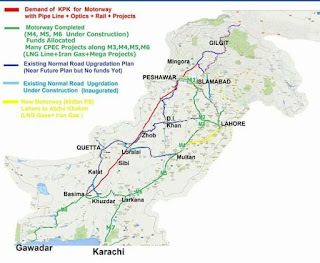 The new route being constructed from Gawader to Punjab directly is M-8 which is also in the final phases. These routs are going to change the complete demography of Balochistan. Just imagine how much business will be created on these routs once fully functional. While travelling from Quetta to Dera Ghazi Khan, I had a chance have a look at the initial glimpses of this route. Let me add one thing more i.e. Balochi culture which is too rich especially when it comes to foods. I have travelled in all provinces of Pakistan and believe me, I grade Balochi food on the top of all. This will have its own charm when culture collision takes place. Balochistan is the most rich province when it comes to mineral resources. With the induction if technology and latest mining trends, Balochistan is going to generate too much for Pakistan. This is now a matter of five years. After five years, the new face of Pakistan will be Balochistan Insha Allah.